Despite the prevalence of ecommerce, consumers still largely prefer to interact with products in person before they commit to buying. A whopping 90% of U.S. retail sales take place in physical stores, according to eMarketer. In the U.K., that figure is 80%. Still, digital is key to the discovery process. Consumers spend a staggering amount of time per day on social networks and rely on these channels for inspiration. It’s crucial that marketers find a way to connect the offline-to-online dots. Measuring in-store sales as a result of advertising can inform future campaign strategy to drive more sales. Facebook Offline Conversions is one way to do that. 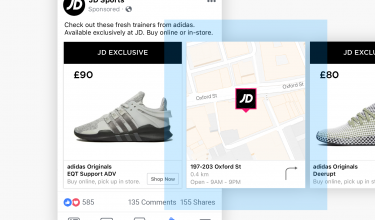 This offering allows you to track when transactions occur in brick-and-mortar stores and offline channels after shoppers see your Facebook ads. Want to get started, but don’t know how? 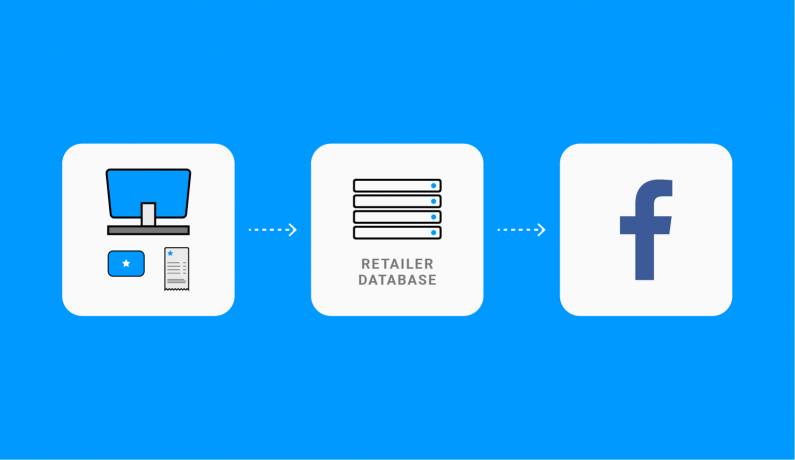 We’ve broken down the four ways you can begin integrating your in-store purchase data with Facebook. 1. Integrate directly with the Facebook Offline Conversions API. 1. Start by creating an offline event set in Business Manager. 2. Upload your store locations in Business Manager. 3. Prepare customer data and purchase event data in a .CSV file for upload. 4. Upload your data file in Business Manager under Offline Events. 5. Map your columns to customer data and offline event types. 6. Review any errors before upload. Step 3 is the most challenging. In-store purchase data can often come from multiple sources, is prone to errors, and given the sensitive nature of the information—it might be difficult to get internal buy-in. If you choose to do a direct integration, take special care in making sure the data uploaded is accurate, detailed, and secure. Facebook does recommend working with a partner to upload in-store data. Partner integrations keep the data cleansed for consistency and will surface stronger signals about customers. 2. Connect with an ad partner like StitcherAds. 1. Provide our team with admin access to your Business Manager account. 2. Connect us with your IT team. We put together an offline data spec to easily and securely export and send your in-store data. We’ll provide this data spec to your IT or Data Management team and discuss with them the process of passing the data file securely. Our goal is to cleanse and process the data in a way that ensures accurate measurement and optimal targeting/optimization options. Then, we’ll help set up an automated, secure method of data transfer. For more information, check out our omnichannel setup guide. 3. Tap a customer data integration partner like Segment. Segment is a customer data infrastructure solution that enables businesses to collect data from any customer-facing interaction (e.g. web, mobile, server, and apps). Segment can then create unified customer profiles, sort customers to meaningful audiences and traits, and activate the customer data and audiences in 200+ tools where it can be utilized. In the case of Facebook Offline Conversions, a client would simply answer a few questions about their point-of-sale system, the type of data generated, and where the data is stored. Segment takes it from there. More specifically, Segment connects to the client’s offline data using one of their server-side libraries or native point-of-sale integrations (e.g. 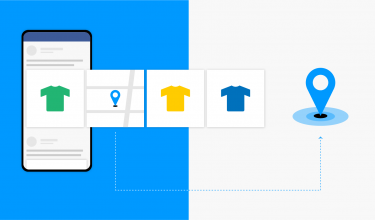 Stripe) and sends the data to Offline Conversions via a native integration for real-time optimization. 4. Pull your in-store data from a digital receipts partner like yReceipts. yReceipts does not require an electronic point-of-sale integration, new hardware, or IT development resources to help identify in-store shoppers and their item level purchases. The in-store data stream is instant and seamlessly available in real-time. Once your offline data is integrated with Facebook, you can start building targeted audiences of shoppers who are likely to convert in-store or online. These insights can also help you create personalized campaigns that compel shoppers to buy. Want to learn how you can start building campaigns that convert in-store and online shoppers? 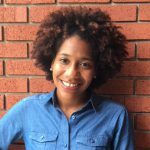 Join StitcherAds, Facebook, and Olapic for a webinar on how to drive omnichannel results on Facebook & Instagram. U.S. audiences can register here. EMEA audiences can register here.